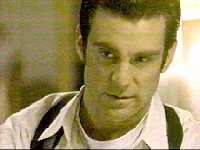 Search here for information about the major character characters who have appeared on The Pretender. Primary characters are those who appear in most, if not all of the episodes. Information about other, less prominent, characters can be found on the Secondary Characters Page. Some of the more minor ones, such as those appearing in one episode only, may not have an entry here, so it is advisable to check the dictionary first. Jarod escaped in September 1996 and, ever since, has been acting as vigilante by using his 'innate' Pretender skills to take on any career and expose illegal and illicit activities. He has maintained contact with the Centre through Dr Sydney, Miss Parker, Broots and Angelo and has stolen various amounts of money from the Centre on different occasions, including $5 million, $10 million , $15 million. Jarod speaks fluent Spanish, French, Russian and also some Cambodian. 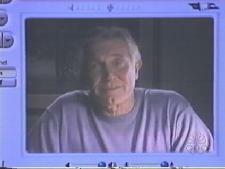 Sydney was responsible for overseeing Jarod as part of the Pretender Project. He is now working with Miss Parker and Mr Broots to return Jarod to the Centre. Sydney also worked, for a time, with Timmy. It was discovered in a remark by Jarod that he was surprised Sydney wasn't making his rounds in corridor fifteen. The depth of Jarod's sincerity in this remark is unclear. It was also revealed that Sydney's experimental laboratory in on SL-2. Sydney was a prisoner in a Nazi Concentration Camp during WWII (prisoner of Dr Werner Krieg) and has had a relationship with a former Centre employee called Michelle Lucca, of whose child he is the biological father. He was also friendly with Claudia Hope, whose supposed death the Centre blamed on Sydney. It was later revealed, through Angelo's help, that Claudia had not died but had been kept away from Sydney so that he could concentrate on his work with Jarod and other subjects. Sydney confessed to his comatose brother, as Miss Parker listened, that he had shot Raines in Boston. Sydney had a St Christopher medal, which he gave to Catherine Parker during her last therapy session with him. Edna was also a patient of Sydney's. Miss Parker is the daughter of the Chairman and was formerly employed as a Cleaner before moving up into Corporate. She was brought back from Corporate to try and locate Jarod. She was also head of Security at the Centre for some time. It was revealed that Miss Parker is the eighth Red File. Miss Parker discovered that she may not be a Parker after all, as her mother visited Ben Miller in Maine every year in April, which would mean that she would likely have been conceived during that time. 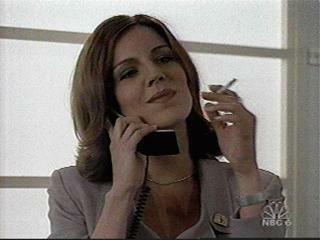 Miss Parker has had sexual relationships with many men including Michael Patrick, and Tommy Tanaka. She later had a more serious relationship with Thomas Gates. Miss Parker also enjoys fencing and has a severe ulcer, which she blames on Jarod. This has come close to killing her on one occasion. It was also revealed that she speaks Spanish and Japanese. Broots has been employed to participate in hunt for Jarod. There has been no indication of whether he was employed prior to this. He is also computer technician who designs security programs for the Centre. Mr Raines is and has been involved with the Tower, however this involvement has never been explained. He oversees many projects however his own subjects have included: Jarod (on several different occasions), Kyle, Timmy/Angelo and Dannie/Einnad. He has been found to have been directly responsible for the death of Catherine Parker. Mr Raines is completely reliant on an external oxygen source after a fire in SL-27 in early 1980's which nearly killed him. He was also severely burnt one other occasion. Mr Raines was on the verge of revealing information to Miss Parker the name of the person who knew everything about what went on the Centre, but was shot before he could utter the name. There is no information to suggest that he survived this shooting. Mr Parker is Chairman of the Centre and has, on occasion, been forced to work with Raines in order to ensure his position. He regularly payed Mr Fenigore to remain silent about the death of Catherine Parker and also about Jarod's abduction. He has, on several occasions, disappeared completely from the Centre, returning with no explanation for his whereabouts. also 23504 Blythe Street, Blue Cove, Delaware. Lyle was adopted by the Centre and placed with the Bowmans in Nebraska, when he was known as Bobby Bowman. 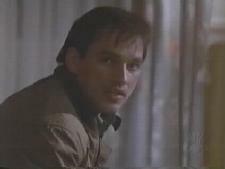 He has participated in experiments within the Centre, including one involving Jarod, when he worked with Mr Raines. Mr Lyle held a higher position that Mr Parker for a time and has since been making every effort to manoevre his way up the ladder of power. He even proposed working with Mr Raines to take over the Centre, although this was revealed to be a ploy to ensure that another project went ahead as planned. It is presumed that he is also a Red File. Mr Lyle is Miss Parker's twin brother, and thus, like Miss Parker, the identity of his father is not guaranteed. He possibly faked his own death in 1967. Lyle has a fascination with Asian women and mail-order brides, and there are several circumstances where he may have been involved in the deaths of various women. He has also worked for long periods outside the Centre, with only one definite appearance before he became a semi-permanent figure at the end of season one. Lyle also speaks fluent German. He has a tattoo of a snake eating its own tail, the Cambodian symbol for Cannibalism. Brigitte married Mr Parker in February, 1999 and gave birth to a son in 2000 prior to dying from a medical condition which meant that she bled to death shortly after the birth of her baby. Time was the subject of the Psychogenic Project and was number 23. After he was 'treated' by Mr Raines, he became a sort of 'human sponge' and, ever since, has been used as an empath to absorb the feelings of others. Timmy was a subject of Sydney's until Raines commandeered him and gave him electro-shock-therapy (04/13/1970), at which point the Angelo persona emerged. Angelo was given treatment by Jarod to reverse the therapy but the treatment was not completed and the Angelo persona re-emerged. It is presumed that he is also a Red File. As Timmy, he was skilled at playing the piano and he also enjoyed tea. Angelo, using the pseudonym CJ, kept in contact with Kyle and Jarod after they left the Centre. Angelo also rescued Broots when Brigitte tried to shoot him, using a key to escape the Centre for this action. 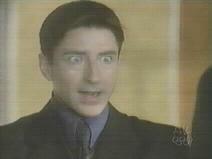 Kyle was a subject of Raines and of the Pretender Project and performed many sims. He was made into a person without a conscience by Raines and was also taught to hate Catherine Parker. It is presumed that he is also a Red File. Kyle met Jarod (02/08/68) after Jarod refused to complete a simulation unless this occurred. He was sometimes taken to Dragon House by Raines as a reward for good work. It was a place that Kyle felt safe. Kyle also had a Distinguished Flying Cross belonging to Major Charles (08/10/68) which Angelo gave to Jarod after Kyle was removed from his room, presumably on Raines order. Kyle kidnapped Hariet Tashman in an attempt to find his family and seemingly died in a van explosion. It was later revealed that this had not occurred, and Kyle followed Miss Parker and the others in the expectation that they would lead him to Jarod. Kyle saved Jarod's life and lost his own when Jarod was shot at by Lyle in Dry River, Arizona. Jacob was a researcher on Pretender Project and was responsible for bringing Jarod to the Centre. Jacob had moral doubts about the Pretender Project and was threatened by Raines, shortly before being involved in a car accident with his twin brother Sydney (08/02/67), which may not have been the accident it first appeared. He suffered serious injuries in the car accident, which left him in a coma for thirty years. 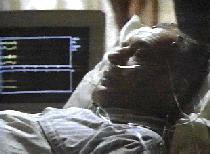 Jarod created a treatment using Malstrom's technique which brought him briefly out of the coma, long enough to write notes saying that he forgave Sydney and also about SL-27. Jacob was awakened by a virus which also killed him, after he had a chance to write the word 'Gene' on a piece of paper. The significance of this word has never been completely explained, although later episodes would suggest that it had to do with biological genes and not a name, as was suggested. None. However Major Charles is the father of Jarod and Kyle. Until Ethan was introduced, it was unclear whether he was the biological or adoptive father of Jarod and Kyle. However, the use of Major Charles sperm to impregnate Catherine Parker and produce Ethan, it would seem to suggest that he is biologically related to all three boys, otherwise there would be no need to use such extreme methods. Major Charles enjoyed flying and was a pilot in Air Force. During his years in the Air Force, he carved wooden planes. Major Charles was also in the Circle of Fire Unit. None. She is, however the mother to Jarod and Kyle. It is not known if she is the biological mother. Margaret went to NuGenesis to conceive Jarod and possibly Kyle. She stayed at Oakview Lodge. Along with Major Charles she hid at the Tashman farm, where she gave birth to Emily. Catherine Parker was the wife of the Chairman and was involved with attempting to rescue the Pretender Project Children. Catherine Parker was a dancer but stopped when she met Mr Parker. She was also studying to become a nun but dropped the idea before before marrying Mr Parker. She was beaten (11/27/1969) probably by Mr Raines. A DSA suggested that she was killed in an elevator by 'a man in a dark suit', however it was later revealed that she took part in the Mirage project and was later shot by Mr Raines. Catherine was also manic depressive and had therapy sessions with Sydney. Her last one was several days before she staged her death in the elevator, when he gave her his St Christopher medal. Ethan was a subject of Mr Raines. He was trained to obey orders given to him by Raines, including to set off a bomb under the National Hotel. 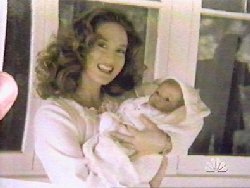 Ethan has an 'inner sense' which allows him to hear Catherine Parker's voice and which also allowed him to communicate with her before his birth. Emily is constantly on the run from the Centre and searching for her brothers. Initially it seemed that she and her mother were searching together but it now appears that she must, at some stage, have become separated from Margaret. She was attacked by Lyle and other sweepers, however the fact that they did not ensure that she was alive suggests that they may either not know about her connection to Jarod or else that she does not have the capability to be a Pretender. Thomas had relationship with Miss Parker until his death. He was a carpenter who wanted her to move to Oregon with him and help to restore a house that they could share. He was killed soon after this and it was revealed (one year after his death) that Brigitte had been responsible for pulling the trigger but did not reveal from whom the order originated. Edna was the wife of Mr Raines and the mother of Annie. She was a physician who attended to Miss Parker when she had the mumps. Edna was kept in a psychiatric hospital and sedated for twenty years and Mr Raines visited her occassionally. The number of visits increased just before her escape. Edna also knew about Mirage, and this knowledge was presumably what prompted her escape, so that she could inform Miss Parker of it. She knew the "Cree Craw" song that Jarod and Ethan know as well. Sydney was Edna's therapist for some time. Edna dies, supposedly of a drug overdose, in Room 24 of Redemption House. Mr Cox was brought in, ostensibly by the Triumvirate, to provide a more 'hands-on' approach and to act as an internal affair person, and was at first suspected by Miss Parker and Sydney to have been brought in by Mutumbo to kill Mr Parker and Brigitte. He was found later to have been brought in by Mr Parker (assuming we can trust what he tells his daughter) in order to assist with his return to the Centre. Cox, working with Lyle, Kidnapped Zoe to distract Jarod from finding out about Mirage. Cox was also responsible for blowing up a building containing Brigitte's body. Cox is an Obstestrician-Gynecogolist who graduated from Harvard in 1993. He enjoys taxidermy (using roadkill) and shares the hobby with his father, who works at a mortuary. 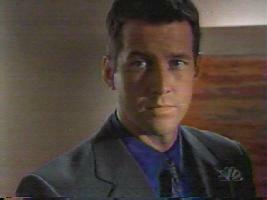 Mr Cox was the person who informed Miss Parker and Lyle about Mutumbo's death, suggesting that he gets his information from someone very high-up on the Centre's power ladder. Mutumbo's exact position was unclear but he was clearly in charge during Donoterase, when Jarod and the clone kidnapped Mr Parker. He gave orders and was obviously not going to put up with arguments. He was thought, for a time, to have brought in Mr Cox to kill Mr Parker and Brigitte. After being murdered, his eyes were gouged out "Like he saw something he wasn't supposed to." It is still unknown what this 'something' is. We have never received information about the background of any of the sweepers, including their dates of birth, addresses or family members. They also appear to have no life outside the Centre and seem to be on call twenty-four hours a day, seven days a week.